Supporters said it would create value for the local economy and government, with detractors claiming it would increase violent crime and raise health costs. Who was right? Back on January 1, when it became legal to sell recreational marijuana, it was estimated that, across the state, pot shop owners made more than $1 million in that one single historic day of business. The Law allows for residents, over the age of 21, to purchase up to an ounce of marijuana at a single purchase if for recreational purposes, with non-residents able to purchase up to a quarter ounce. Now, official figures released by the Department of Revenue (i) show that, in the first 3 months, sales of recreational marijuana alone have in fact raised in excess of $7.3 million in taxes. When income from medicinal sales tax and licences is included that figure rises further to $12.6 million. The fact is that in the new legalized recreational business in both January and February, more than $14 million was sold each month. March exceeded this by claiming almost $19 million in sales, and the trend is continuing to rise. From those sales figures, there has been a corresponding rise in sales taxes; January generated $1.4 million, February brought in $1.43 million and the most recent figures for March showed it to be $1.898 million. This destroys the initial argument by opponents who claimed that there would be an initial boost from ‘new toy’ syndrome but that interest would soon plummet. In addition, many said there would be an increase in violent crime in the state as a result of ‘trafficking’ and associated crimes. This has been far from reality – overall crime has actually fallen slightly in Denver (ii). One huge benefit from this new industry has been a creation of jobs, from budtenders, growers, salespeople and even more journalists writing about the changes (iii). This all adds welcome revenue to the state's coffers. New projections indicate that legal cannabis sales in the United States will be as much as $2.57 billion this year, when taking in figures from across split the 21 states that allow the sale of marijuana in some form. That's a huge increase from $1.53 billion one year ago. With figures this high we could deduce that the marijuana industry as a whole could potentially become a powerful political lobby in its own right. A far greater amount of medical marijuana is sold, (this has been legal in Colorado since 2000) with the comparative sales for March being $35 million. But, as the tax imposed on recreational weed is far greater, it could probably soon overtake medical marijuana in total tax dollars. In total, Colorado Governor John Hickenlooper projected in February that total Colorado marijuana sales could approach $1 billion in the next fiscal year. It is estimated that $600 million of that figure will come from just recreational sales. This means that the state will to collect at least $134 million in taxes and fees. 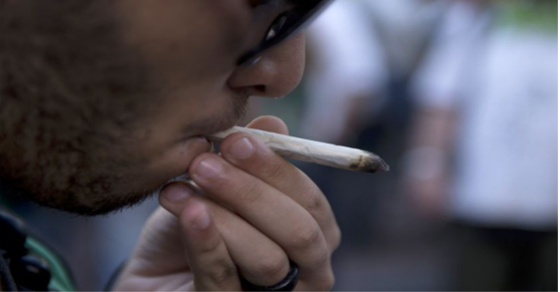 Already, plans have been passed to make good use of some of this extra income: lawmakers have just approved a plan to spend this new tax windfall from marijuana, mostly on child drug use prevention and outreach. The $33 million plan includes money for more school nurses and public education on using marijuana responsibly. Will these sales slow down? It is unlikely. Other states will hopefully see this as a positive move and see that the popular misconceptions have been well and truly turned over.